Pork is magical. And though I’ve loved pork chops and store-bought bacon all my life, it’s only been in the last decade that I’ve learned to appreciate other cuts of pork and how they’re prepared. Over the years, I’ve learned to cure and smoke my own bacon, from heritage breeds like Berkshire. I’ll make my own pork sausage on occasion. But the need to make a classic Italian dish, genuine spaghetti carbonara, required that I learn how to cure an unusual cut of pork I’ve never used before. In the beginning, I could only find huge jowls that required them to be cut and weighed to mix with the right amount of cure. Looking at carbonara recipes online, everyone said the same thing: “Though the genuine dish uses a cured cut of pork called guanciale, it’s hard to find so use pancetta or bacon.” Although both pancetta and bacon meats are quite tasty (both come from the belly of the pig…bacon is smoked, pancetta is not) the flavor and texture is not the same as a pork cheek, or jowl. That’s what guanciale is made from. So I needed to find a source. I started with a local restaurant, the Back Eddy in Westport, Massachusetts. Being a buddy of the owner and chef (and bribing them with alcohol), I asked if they’d order me some jowls. They did, and that worked well for a while. But I didn’t want to keep bothering them every time I wanted more, so I eventually found my own source on line that supplied me with massive jowls weighing many pounds each, as in the photo above. They were good, but a pain to work with. Eventually, that company went out of business. I finally found my go-to pork website: http://www.heritagepork.com. They sell a variety of pork products made from a heritage breed of pig known as Berkshire, also called kurobuta. It’s a delicious breed with wonderful fat that’s healthy and full of flavor. And conveniently, they sell pork jowls in 2-pound packs. My curing process is simple: sugar, salt, peppercorns, and fresh thyme. I cure the jowls for about 3 weeks. I rinse them once they’ve cured, and pat them dry. 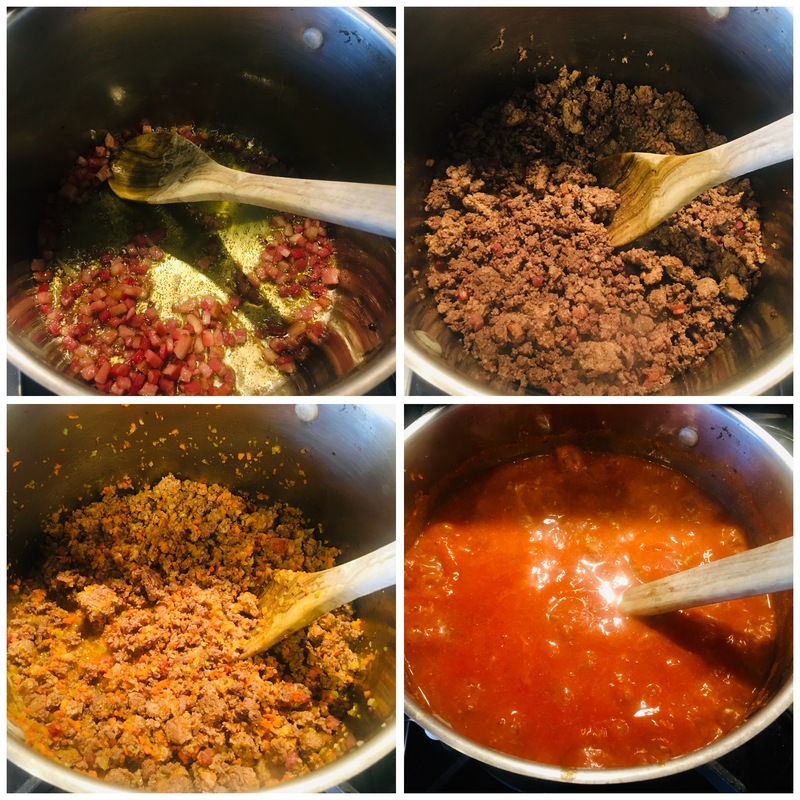 Then they’re ready to use for carbonara, ragu bolognese, topping a pizza, or any other delicious recipe that comes my way…and any extra guanciale freezes really well. 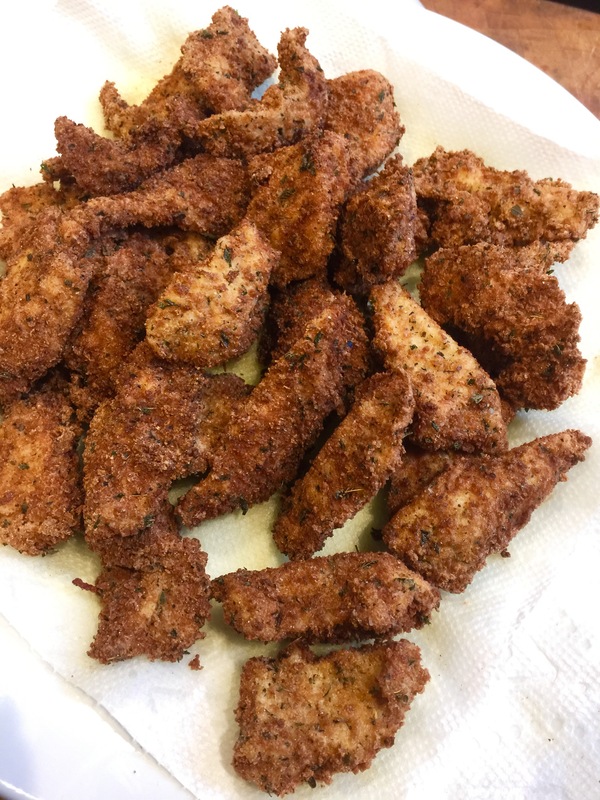 Once I made my first batch, there was no turning back! Pork jowls with a good sprinkling of the cure, ready to be wrapped. Combine the dry rub, brown sugar, and peppercorns in a bowl. On a large work surface, lay down several sheets of plastic wrap, overlapping each other to keep the cure from leaking through to the counter underneath. Sprinkle half of the salt mixture onto the plastic wrap in an area where the jowls will lay. Scatter a half-dozen thyme sprigs on top of the salt mixture. 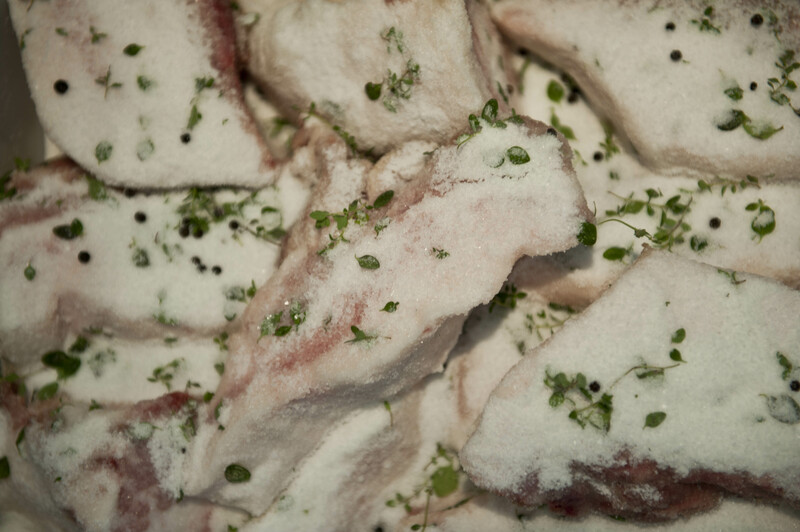 Lay the pieces of pork jowl on top of the salt mix and thyme, then top the jowls with the rest of the salt mix, covering them evenly, and top with more thyme sprigs. Fold the plastic wrap over the jowls as tightly as you can, pressing the salt mix into the meat. If the wrap is loose, use more wrap to really tighten the salt cure around the meat. Then place the entire pork-wrapped package in a container that will hold the liquid that will ooze out during the curing process. If the plastic wrap still isn’t too tight around the jowls, weigh it down with something heavy to press down on the pork. You really want the salt to make contact with the meat. Place the container in the fridge to cure for 3 weeks. Every couple of days, remove the weight off the jowls and flip the plastic wrap package over, so that the top is now the bottom. Add the weight and return it to the fridge. You want the cure to get at every part of the pork. Don’t pour off any liquid that forms…it will help the curing process. In about 3 weeks, the pork jowls will feel firmer. This is a sign they’ve been properly cured. Remove them from the plastic wrap, rinse them thoroughly under cold clean water, then pat them dry with paper towels. 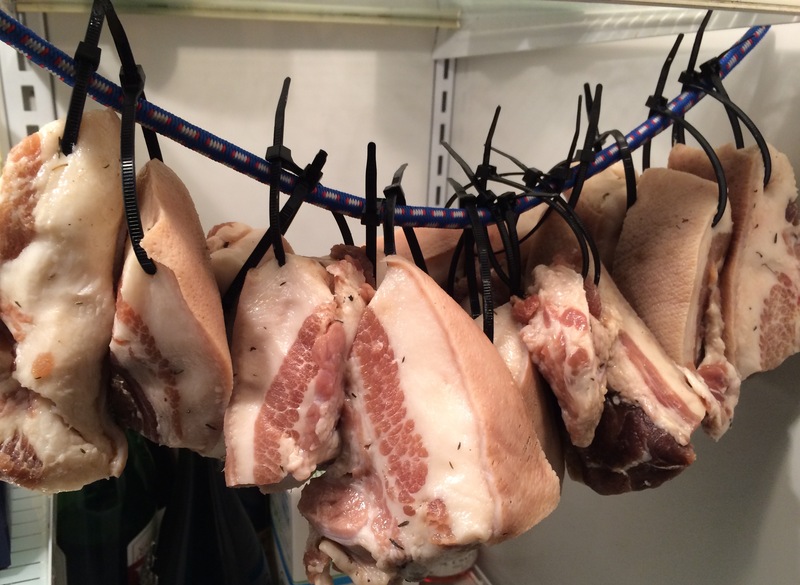 Cured, rinsed and dried guanciale. Cut the jowls into smaller pieces before freezing. A little goes a long way! At this point, you can cut the jowls (now officially guanciale!) into smaller pieces, wrapping each well and placing them in freezer bags. They will keep in the freezer for a long time. 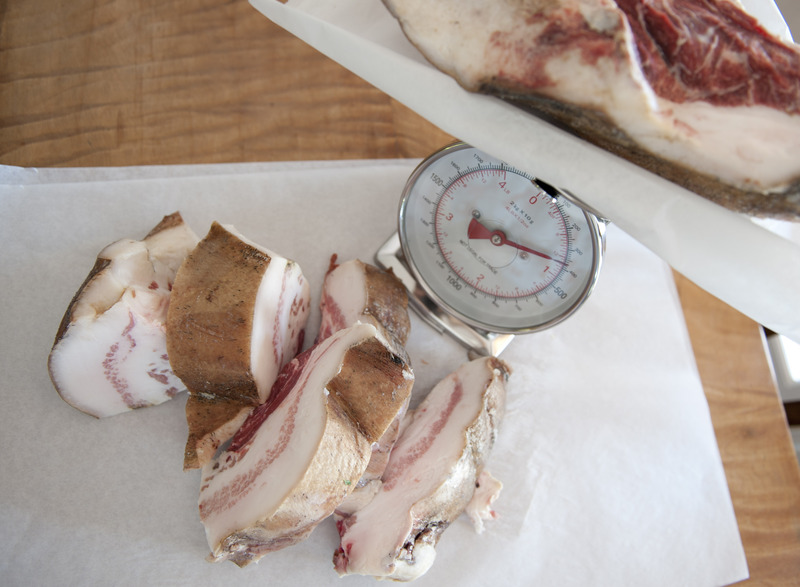 Many guanciale recipes tell you to hang the meat in the fridge for at least a week after curing, but I haven’t really found the need to do that if I’m keeping them frozen. The drying process keeps the meat from getting moldy, but that’s only if you keep it in warmer temperatures. Every good cure starts with a good dry rub. This one’s extremely simple but requires a special ingredient: pink salt. This is not pink Himalayan salt. This is a very special curing salt that must be used in small amounts. It contains nitrites which will help preserve the meat and give it a good color. Many people get bent out of shape over nitrites these days, so you need to decide whether you want to use pink salt or not. I do, because I don’t eat pounds of guanciale like a lab rat. Combine these ingredients and mix well. Store it in a tightly sealed plastic bag in your pantry. Note: the reason I give the brand name for the salt is because all Kosher salt does not weigh the same! A cup-and-a-half of Morton Kosher Salt, for example, will weigh more and will throw off the recipe. Over the years, I’ve learned to cure and smoke my own bacon, from heritage breeds like Berkshire. I’ll make my own pork sausage on occasion. But the desire to make a classic Italian dish, genuine spaghetti carbonara, required that I learn how to cure an unusual cut of pork I’ve never used before. I started with a local restaurant, the Back Eddy in Westport, Massachusetts. Being a buddy of the owner and chef (and bribing them with alcohol), I asked if they’d order me some jowls. They did, and that worked well for a while. But I didn’t want to keep bothering them every time I wanted more howls, so I eventually found my own source on line that supplied me with massive jowls weighing many pounds each. (See the photo above.) They were good, but a pain to work with. Eventually, that company went out of business. I finally found my go-to pork website: http://www.heritagepork.com. They sell a variety of pork products made from the breed of pig known as Berkshire, also called kurobuta. It’s a delicious breed with wonderful fat that’s healthy and full of flavor. And conveniently, they sell pork jowls in 2-pound packs, with 4 1/2-pound jowls in a pack. My curing process is simple: sugar, salt, peppercorns, and fresh thyme. I cure the jowls for about 3 weeks. I rinse them once they’ve cured, and pat them dry. Then they’re ready to use and any extra guanciale freezes really well. 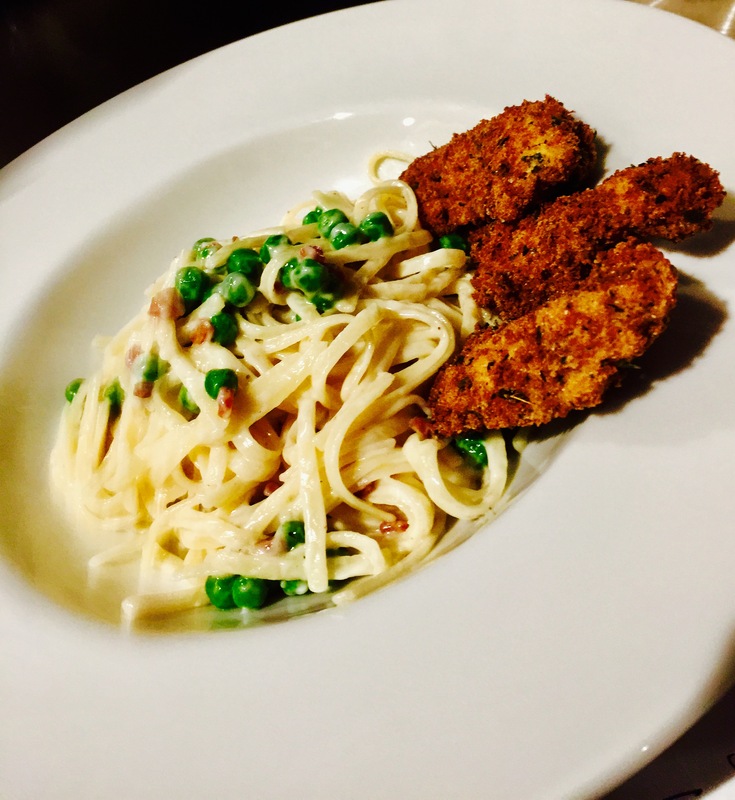 Now that you’ve got guanciale, make that spaghetti carbonara you’ve always dreamed about! It’s also great chopped and fried and sprinkled on pizza, and sautéed with vegetables or mixed with scrambled eggs. Note: the reason I give the brand name for the salt is because all salt does not weigh the same! A cup-and-a-half of Morton Kosher Salt, for example, will weigh more and will throw off the recipe. Pork is magical. And though I’ve loved bacon and pork chops all my life, it’s only recently that I’ve started to appreciate other cuts of pork and how to prepare them. That includes guanciale (pronounced gwan-chee-ah-lay), meat that comes from the cheek (or jowls) of the pig and is cured but not smoked. The process is similar to making pancetta, only pancetta comes from the belly of the beast. It all started when I wanted to make an authentic spaghetti carbonara, which uses guanciale, not bacon or pancetta as many recipes state. But finding raw pork jowls wasn’t easy at first. Many websites offered smoked jowls. But raw jowls were almost impossible to find, and I just about gave up until I visited my friends Sal and chef Aaron at the Back Eddy restaurant in Westport, Massachusetts. I told them of my dilemma and they said: “Pork jowls? Oh, we can order them for you!” I was psyched! About a week later, I picked up my jowls, individually wrapped in hermetically sealed ¼ pound packages, and my curing began. The process is simple: salt, pepper, some fresh thyme. Rub it all over the meat, wrap it tightly, and place it in the fridge to cure for a week or two. Finding room in my spare fridge to cure the meat was easy…everything fit snugly in a Ziploc bag. But after curing, and once I rinsed the excess salt off the jowl pieces, I had to dry them (all 24 of them since I bought 6 pounds.) So I rigged up a special hanging system that used bungy cords and vinyl cable ties. And three weeks later, I was frying up my guanciale in a saute pan and adding it to vegetables, potatoes, and pizza. I even gave guanciale gifts to my foodie friends. Always good to have a helper. 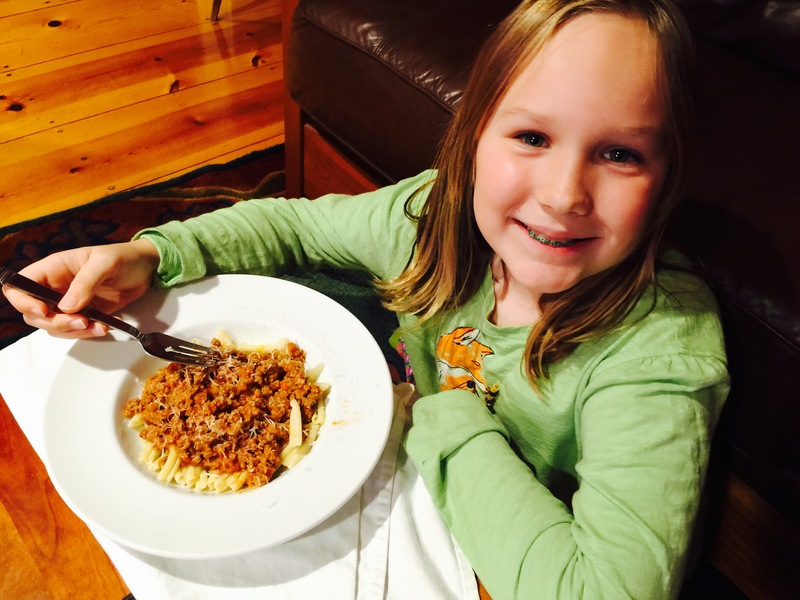 Pasta is not something I’m currently eating on my low-carb diet. But it’s a great recipe I wanted to pass on to others. You boil the pasta. 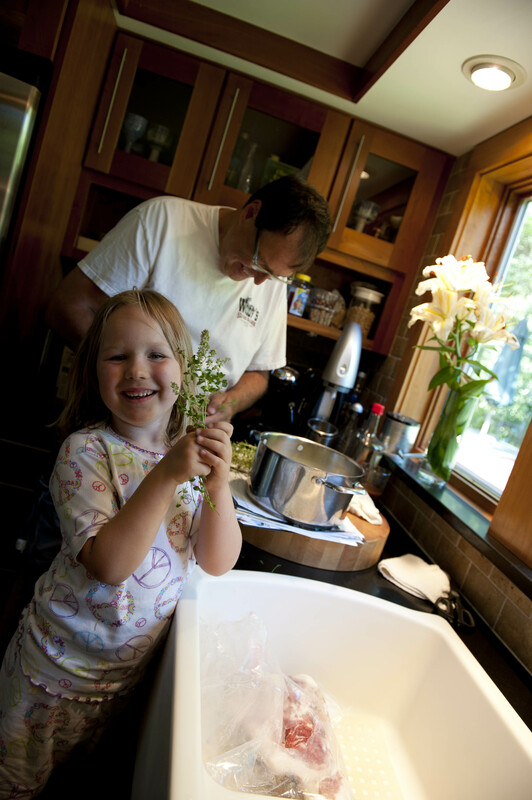 Chop the guanciale (cured pork cheeks or jowls) and saute in a pan with the olive oil. Do not drain the fat. Drain the pasta and drop it into the pan with the guanciale, adding about 1/4 cup of the pasta water. Shake it around for a minute and remove from the heat. Add some of the cheese and the egg whites, season with pepper, and mix the pasta well. Separate into bowls, making a nest with the pasta. Add an egg yolk to each, sprinkling more cheese on top. What could go wrong, right? There’s a lot to be said for finesse! I make my own guanciale. I buy Berkshire pork jowls and cure them. Then they go through a drying phase for a few weeks before I wrap and freeze them in chunks. 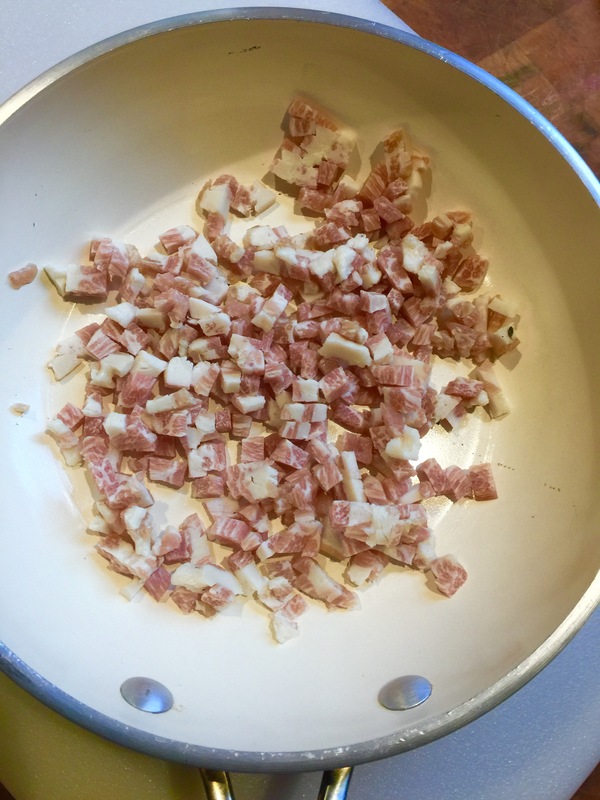 Whenever a dish calls for guanciale (my daughter loves it on pizza), I simply unwrap some, let it thaw, then chop it up and saute it. The fat in the pork jowls is very different from other parts of the pig, and there’s no replacing that flavor. 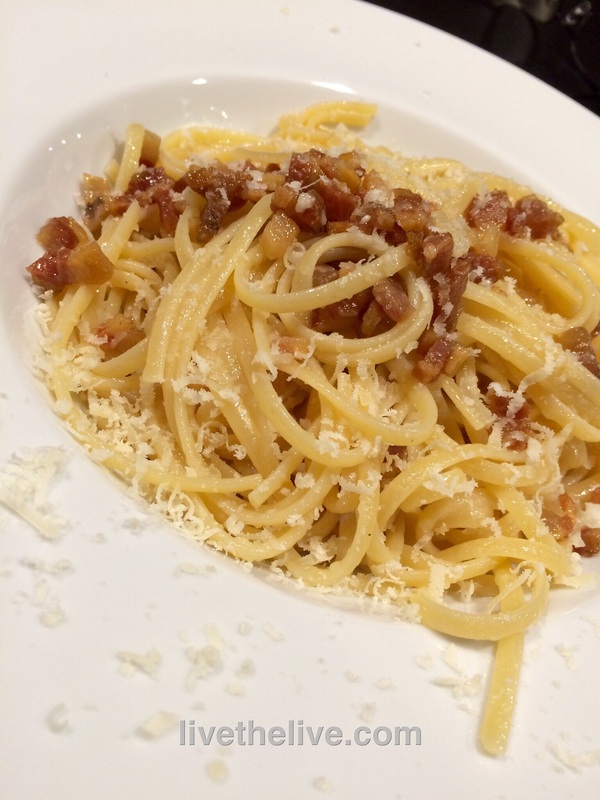 When making Spaghetti all Carbonara, some cooks replace the guanciale with pancetta or bacon, but that’s not for me. It’s also important to note that this dish relies a lot on fat, so good fat is really important. 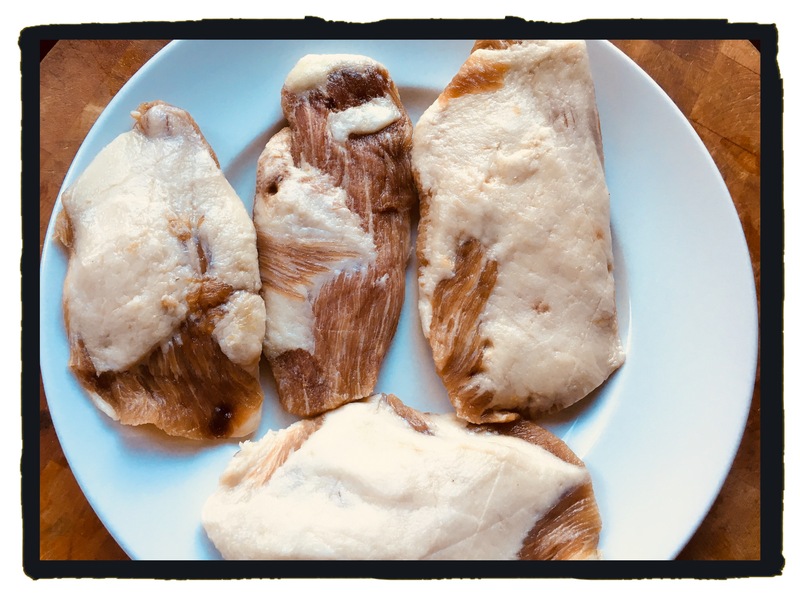 Berkshire pork fat has good fat. Organic butter has good fat. And the cheese? 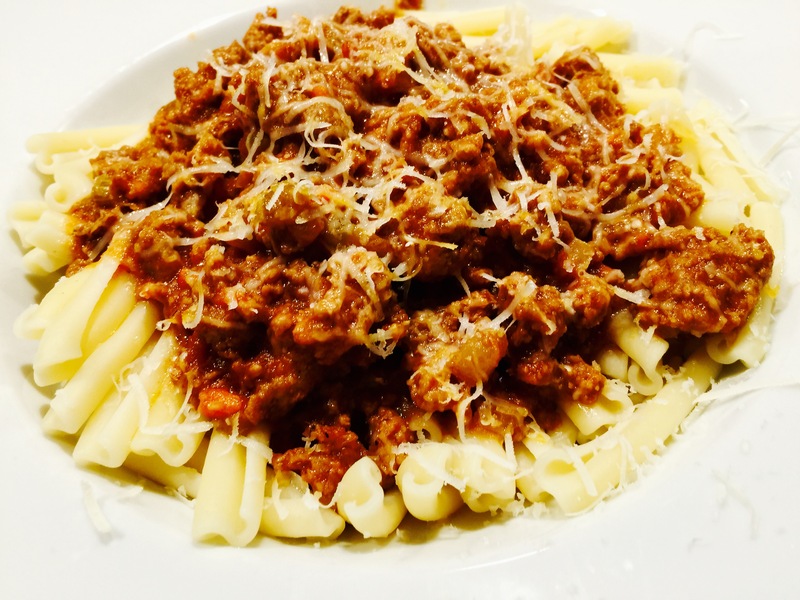 Parmigiano-Reggiano isn’t called “The King of Cheeses” for no reason! Boil the pasta to the just-before-al dente stage. In a large saucepan, heat the guanciale and olive oil until the fat has rendered. Do not drain the fat. Turn the heat off, add the butter and let it melt. 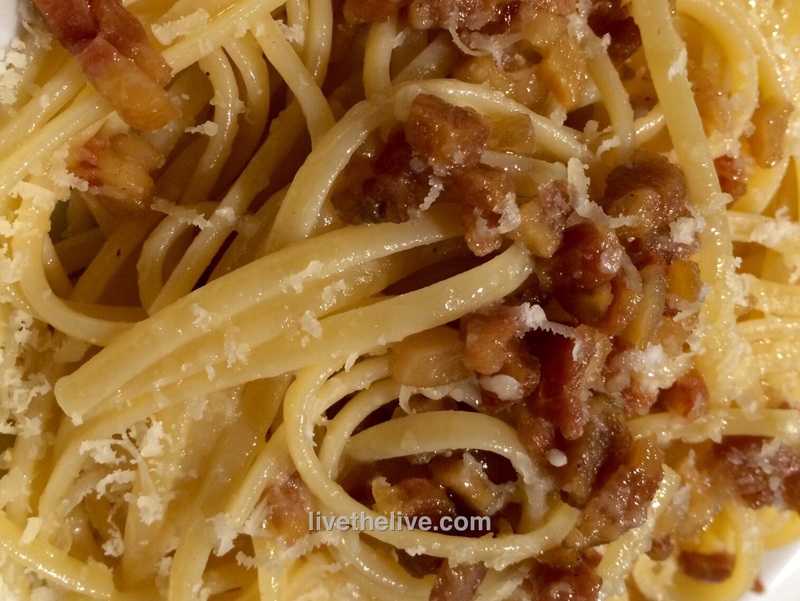 Drain the pasta and drop it into the pan with the guanciale, stirring the pasta around to coat with the ingredients. Sprinkle in 1/4 cup of the Parmigiano-Reggiano and season with pepper, still mixing. 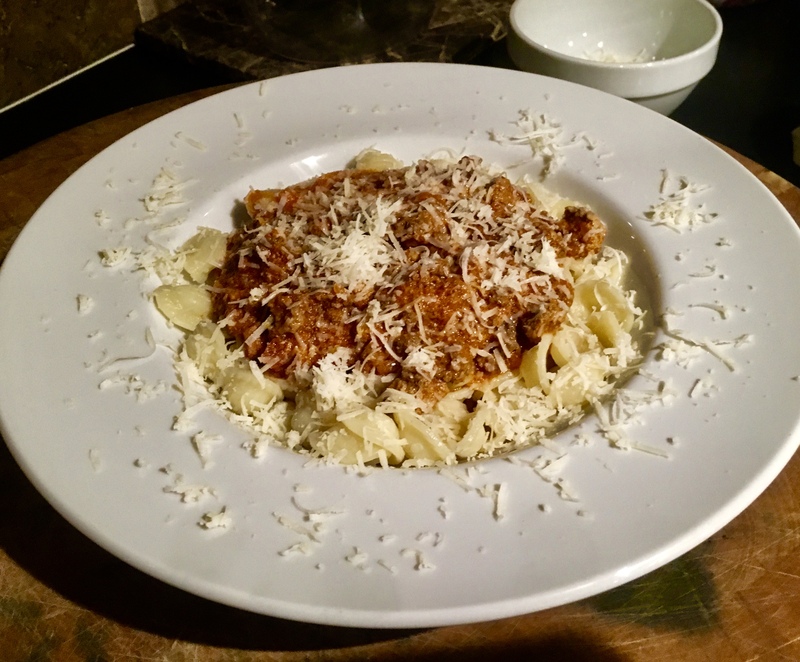 Distribute the pasta into individual bowls, making sure everyone gets the tasty bits of guanciale. 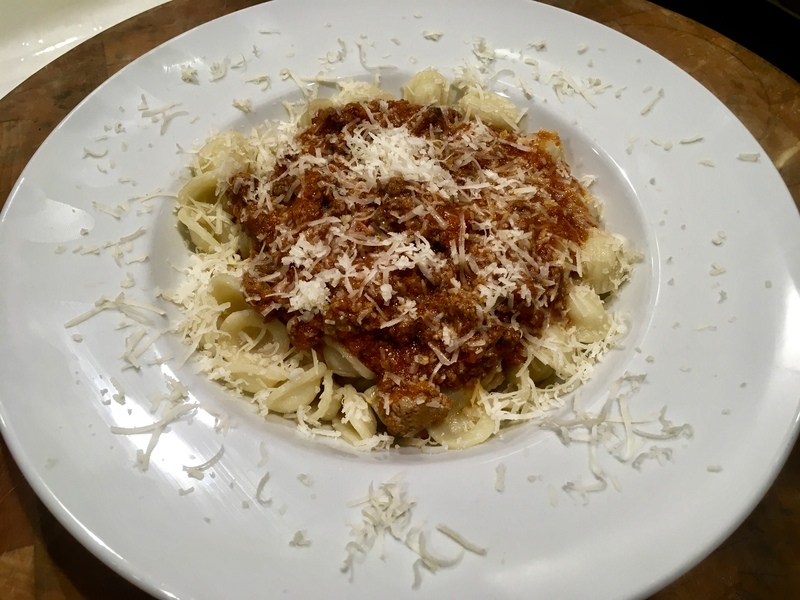 Sprinkle some more of the Parmigiano-Reggiano on top. Serve immediately.